Port Melbourne and Fishermans Bend continue to change. Houses are changed or demolished and new forms of housing take their place. Port Houses records some of these changes. This striking, site responsive house on the Port Melbourne side of Boundary St was recently written up in HomeWorldDesign. It responds well to its brief which was "to design a striking, modern house that made the most of the small site and yet responded to the neighbouring urban fabric and location." Chan Architecture's response was "to start with materials and forms that were prominent in the Port Melbourne area and combine them in a unique manner. 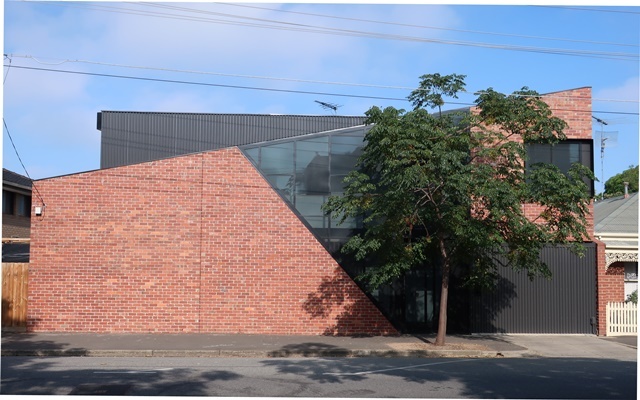 Strong, angular lines were used in conjunction with recycled brickwork that made reference to the warehouse aesthetic and the metal cladding and rectangular forms related to shipping containers." The recycled bricks continue the brickwork theme down Boundary St. Port Houses and Port Places are projects by Janet Bolitho. Port Melbourne has a great diversity of housing from different periods. Port Houses takes an interest in dwellings of all kinds as well as debates about planning in Port Melbourne and environs. Port Houses attempts to record every house demolished in Port Melbourne and what replaces it. Port Houses also records the vegetation present on a site before demolition, and what replaces it. 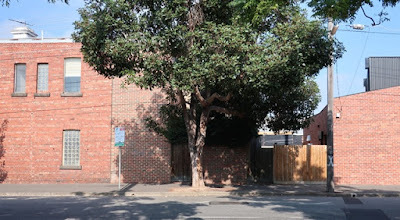 More recently, Janet has been documenting development sites in Fishermans Bend and Montague. Janet was appointed to the Fishermans Bend Development Board in 2018. She is an active member of the Port Melbourne Historical and Preservation Society. She has a Masters in planning from RMIT, a background in history studies and a period from 2004 to 2012 as Sandridge Ward Councillor on the Port Phillip Council. She was Mayor of the City of Port Phillip in 2006 and 2007. Port Houses is part of the Port Places project by Janet Bolitho.